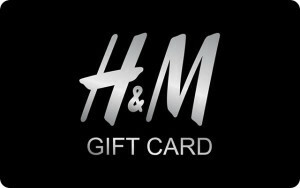 H&M Gift Cards are valid for 2 years from the date of the last activation or purchase. At the expiry of the validity period, the H&M Gift Cards cannot be used for purchase, reactivated nor can the unused remaining value be refunded. Neither H&M nor Giftcloud can be held liable for H&M Gift Cards if lost or stolen, inactivated or damaged. H&M offers a wide range of great quality fashion at the best price in a sustainable way for women, men and children. H&M's range includes everything from wardrobe basics, trend-led fashion, party collections and sportswear. The fashion offering reflects the latest in international trends to updated fashion classics. Shop in-store and online now! Please show in store to redeem your H&M eGift card.